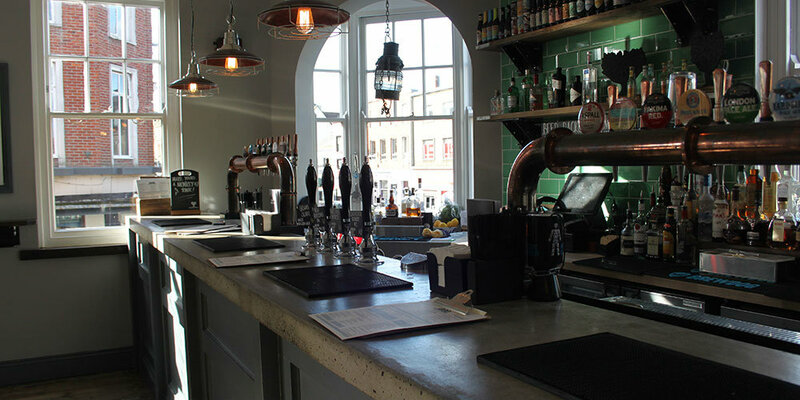 Three Wise Monkeys is a modern style Public House split over 3 floors in the heart of Colchester, Essex. The Three Wise Monkeys is the third project we have worked on for Pasini Leisure, a management company for a number of high-profile venues in the Colchester, Essex area. 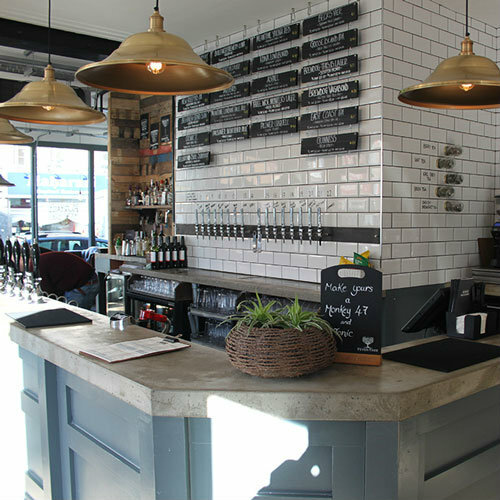 There were two phases to this project, the first was for a complete refurbishment and change of use from the former Skyrooms nigh club into a modern style public tap house (class A4), café (class A3), restaurant (class A3) and function room (class A4). There were also advertisements consents required for the new business. 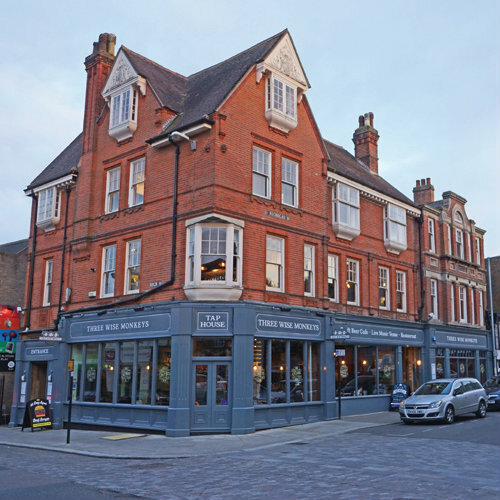 The Local Planning Authority were in support of introducing a high quality public house, cafe, eatery and night-time venue in to the town centre that would enhance the local streetscape so approval was granted and the refurbishment commenced. Upon the huge success of phase one the client then had an opportunity to acquire the adjacent building, formally registered as The Learning Centre (D1 use). 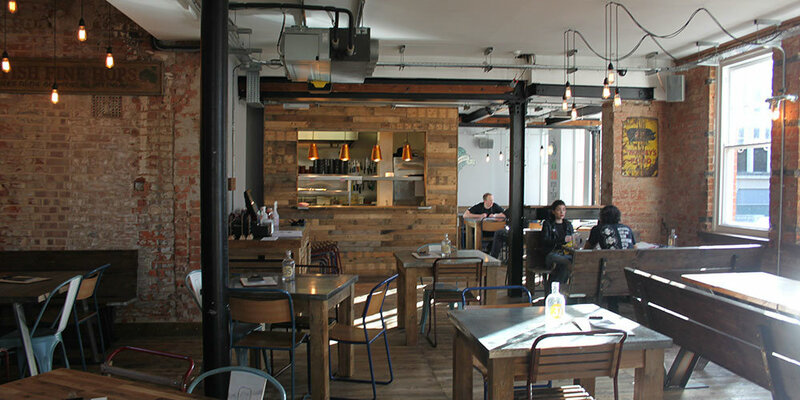 This would add further ground floor frontage together with further basement accommodation to extend their restaurant capabilities. Phase two therefore involved integrating the additional floor area in to the Three Wise Monkeys thriving business. Disabled access facilities were also improved to achieve level access and an adapted WC introduced to the ground floor. Planning permission was quickly approved and the refurbishment was completed in time for the Christmas festivities. 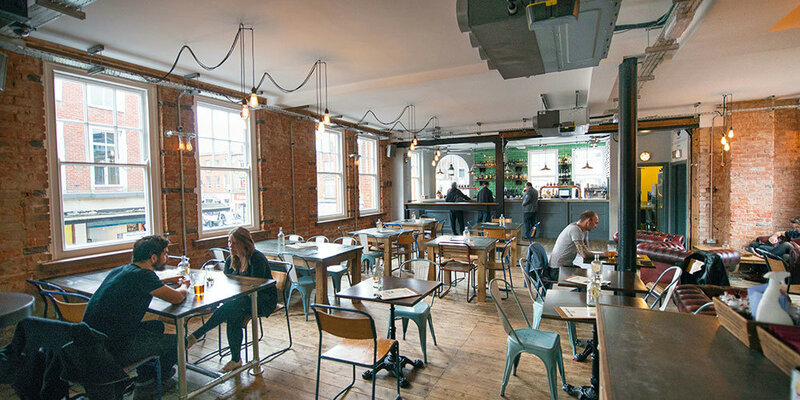 The business is now going from strength to strength with the Local Planning Authority now using the project as a “good example of how bars should be designed”. To find out more about The Three Wise Monkeys, the official website can be found here. The multi-level premises is situated in the heart of Colchester’s High Street on a prominent corner location. The ground floor is laid out as a café serving refreshments and light bar snacks with direct access to the side courtyard smoking area from within the building’s site boundary, the first floor will accommodate the new commercial kitchen and restaurant, and the second floor will provide space for a live music and function room. The 3-level public house now serves a vast array of craft beer and ales plus slow-cooked American-style BBQ food.